Today’s landscape of digital audience platforms, extensive customer data, and high-powered marketing technology creates an incredible opportunity for marketers to identify, target, and convert high-value customers in a systematic, profitable manner. The result is a decided competitive advantage. In order to achieve this, marketers must master the perfect mix of competencies. The Rise of the Platform Marketer: Performance Marketing with Google, Facebook, and Twitter, Plus the Latest High-Growth Digital Advertising Platforms is your handbook to get there. 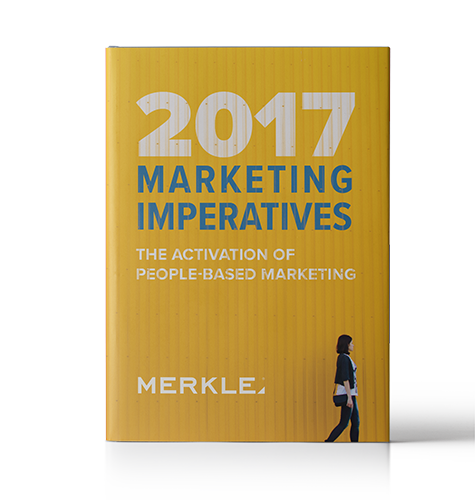 "Lee and Dempster make a strong and urgent case for the next stage of marketing at the intersection of the enabled consumer and the new 'Platform Marketer.'" Chief Marketing Officer, Kaplan, Inc.
"Finally, a playbook for the enlightened marketer who is increasingly challenged to deliver ever more personalized content to large, diverse audiences." Chief Marketing Officer, Anthem, Inc.
"The Rise of the Platform Marketer gives us a unique view into this dramatic change, providing deep insights and a guide that any successful marketer must follow. This book is the key to the future of marketing." The Platform Marketer must shift their focus from touchpoints to the customer journey. Consumers don’t build relationships with businesses on a single touchpoint, but on the sum of interactions. 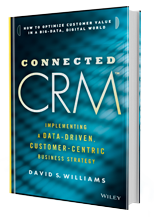 It is not until a company begins to employ optimization strategies that it sees a significant incremental lift in business value from combining foundational data, customer engagements, marketing analytics, and decision management. Marketing strategies require more than just demographic and purchase behavior data to build effective messaging. A deep understanding of what drives a consumer decision is required, and that understanding can be boiled down to four key areas. Marketing strategies require more than just demographic and purchase behavior data to build effective messaging, they need a deep understanding of what drives a consumer decision. How product attributes connect to customer values during purchase decisions. The only way to achieve the true potential of experience optimization is with significant automation, using the right model and the right data. When automating an optimization program, we break the process down into five key phases. There is a sweet spot in optimization testing duration called statistical significance, or reliability. Testing in one channel should enlighten the creative across other points of the customer journey, enabling you to more quickly reduce friction in the entire experience. Event streams are fed into an analytical and rules engine to determine the right communication packet (treatment, offer, device, and timing) for each consumer. Personalization strategies turn into detailed strategic conversations with a defined implementation plan. The identity engine provides a centralized mechanism to rationalize the terrestrial, device, and digital identity. Different segment dimensions are useful for different business purposes. This table summarizes the common dimensions with their definitions and recommended applications. Ad revenue breaks down with the payouts going to multiple providers and companies. As audience platforms encapsulate their advertising platforms for their own audiences, they are also breaking our ability to link their audience to audiences in other platforms. In essence, they are creating walled gardens. The Platform Marketplace has evolved over the last two decades, with data and analytics now leading the next level of Addressability. The Platform Marketer embodies 9 essential competencies to successfully exploit Addressability at Scale. The conversion ratio to level of targeting shows the incremental lift when companies employ targeted, personalized experiences. The response rate declines as user session depth increases. The lower the frequency of depth, or the earlier the user is in his session, the higher the response rate. Demand-side platforms get advertisers the lowest price possible, while supply-side platforms get publishers the maximum revenue. Data Management Platforms are real-time databases that collect first, second, and third party data across different channels, analyzes and visualizes it to understand performance and other business metrics, and further syndicates it to downstream systems to affect your marketing programs. The Anatomy of an Ad Call breaks down how the advertising technologies play out in delivering the ads to consumers. The Display LUMAscape from LUMA Partners LLC shows the complex web of technologies that play a role in getting the right ad in front of you. The new addressable marketing funnel allows integrated and targeted management of addressable consumers throughout the funnel. The old marketing funnel only targeted consumers mid-funnel, leaving many high-value customers behind. Download this exclusive report from Merkle | RKG to get additional analyses on Google’s slowing click growth and impression decline, Yahoo’s share of traffic after the Firefox default browser change, and more. Craig has been a member of the Merkle executive team for nearly a decade. In his current role as Executive Vice President, he leads Merkle’s Digital Agency Group, a business unit comprised of 750 employees who deliver integrated performance media agency services across search, display, social, mobile, email, web development, user experience, and creative services. In addition to his Digital Agency Group leadership duties, Craig has led Merkle’s corporate development for the past four years. During this time Craig has steered the company’s acquisitions of IMPAQT, a market leading search agency; Social Amp, a Facebook preferred developer that enables the use of open graph data in customer communications; Fifth Finger, a mobile first experience shop; New Control, a digital and direct agency; and RKG, a performance digital media agency. As Chief Strategy Officer, John is responsible for Merkle’s growth strategy and the development of products and solutions across industries. John is also a strategic advisor to many Fortune 500 brands including DIRECTV, GEICO, Disney, AARP, and MetLife. John has more than 18 years of experience in management consulting, digital media, and CRM. Since joining in 2008, John has served in a number of leadership roles, including management of Merkle’s Healthcare, Life Sciences, Wealth Management, Travel, Media, and Entertainment industry practices. In addition to his duties as CSO, John currently oversees Merkle’s Insurance practice. Interested in having Craig or John speak at your event? Email us for more information. Implementing the Platform Marketer competencies is no easy task. If you’re serious about establishing a competitive advantage, meet with one of our experts who can walk you through exactly how this approach could look in your company. You can also send a general inquiry to marketing@merkleinc.com.